[180 Pages Report] Structural Adhesives Market is projected to grow from USD 10.41 Billion in 2016 to USD 15.72 Billion by 2022, at a CAGR of 7.1% during the forecast period. In this study, 2016 has been considered the base year to estimate the size of the structural adhesives market. The report provides the short-term forecast from 2017 to 2022. It aims at estimating the size and future growth potential of the structural adhesives market across different segments, such as resin, substrate, application, and region. 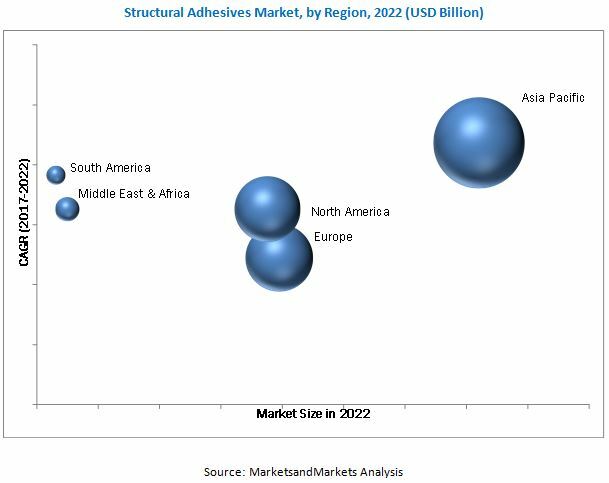 Factors such as drivers, restraints, opportunities, and industry-specific challenges influencing the growth of the structural adhesives market have also been studied in this report. 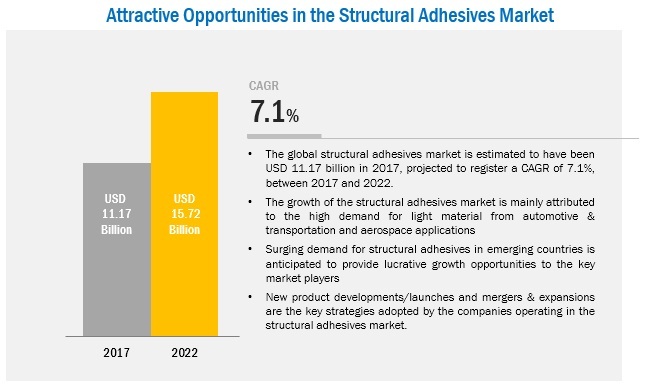 The report analyzes the opportunities in the structural adhesives market for stakeholders and presents a competitive landscape for market leaders. Both, top-down and bottom-up approaches have been used to estimate and validate the size of the structural adhesives market and to estimate the sizes of various other dependent submarkets. This research study involved the extensive use of secondary sources, directories, and databases, such as Hoovers, Bloomberg, Chemical Weekly, Factiva, and other government associations. Moreover, private websites and company websites have also been used to identify and collect information useful for this technical, market-oriented, and commercial study of the structural adhesives market. After arriving at the total market size, the overall market has been split into several segments and subsegments. The figure given below provides a breakdown of the primaries conducted during the research study, on the basis of company type, designation, and region. Leading players in the structural adhesives market including Henkel AG & Co. KGaA (Germany), 3M Company (US), Sika AG (Switzerland), Huntsman International LLC (US), Illinois Tool Works Inc. (US), H.B. Fuller (US), Ashland (US), The Dow Chemical Company (US), Bostik (France), and LORD Corporation (US) among others, have been profiled in this report. This research report categorizes the structural adhesives market on the basis of resin, substrate, application, and region. The global structural adhesives market is projected to reach 2,024.67 kilotons by 2022, by volume. In terms of value, the market size for structural adhesives is estimated at USD 11.17 Billion in 2017, and is projected to reach USD 15.72 Billion by 2022, at a CAGR of 7.1%. The demand for structural adhesives has been increasing in applications such as building & construction, bus & truck, automotive, wind energy, marine, rail, aerospace, and others. Currently, key structural adhesives players are undertaking R&D to develop sustainable adhesives and overcome the limitations of traditional fastening methods. The structural adhesives market is segmented on the basis of resin, such as epoxy, polyurethane, acrylic, methyl methacrylate, cyanoacrylate, and others. The cyanoacrylate resin segment in the structural adhesives market is projected to grow at the highest CAGR during the forecast period, 2017 to 2022. Cyanoacrylate resins provide exceptional bonding strength to various substrates including plastics, and rubber. Cyanoacrylate resins are solvent-free, one-part products that cure instantly at room temperature, and reduce assembly time. The structural adhesives market is segmented on the basis of substrate into metals, plastics, wood, composites, and others. The composite substrate segment in the structural adhesives market is projected to grow at the highest CAGR during the forecast period, 2017 to 2022. The increasing use of composites to reduce weight and increase fuel efficiency in the automobile, bus & truck, rail, wind energy, and marine applications is expected to drive the structural adhesives market in the coming future. 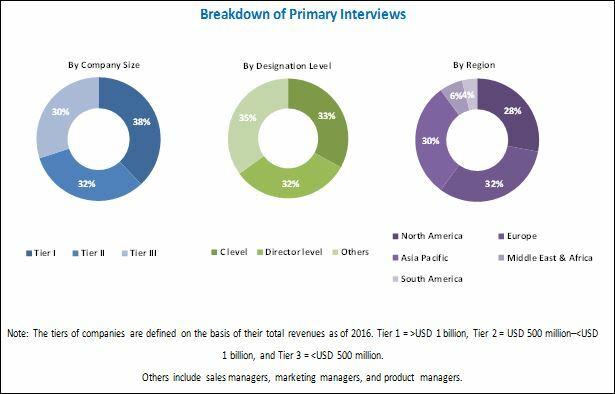 The structural adhesives market is segmented on the basis of application into building & construction, bus & truck, automotive, wind energy, marine, rail, aerospace, and others. The wind energy application in the structural adhesives market is projected to grow at the highest CAGR during the forecast period, 2017 to 2022. The increasing use of renewable energy and installation of wind mills, is expected to drive the structural adhesives market in the coming future. The Asia Pacific structural adhesives market is projected to grow at the highest CAGR during the forecast period, which can be attributed to the rising demand for structural adhesives due to building & construction activities, mainly from the emerging economies of China and India. Technological advancements such as the penetration of composites in various applications in Korea and Japan has also boosted the growth of the structural adhesives market in this region. The growth of the structural adhesives market is affected due to environmental regulations in the North American and European countries. Characteristic shortcomings of various structural adhesives limit their usage in various applications. Key players operating in the structural adhesives market include Henkel AG & Co. KGaA (Germany), 3M Company (US), Sika AG (Switzerland), Huntsman International LLC (US), Illinois Tool Works Inc. (US), H.B. Fuller (US), Ashland (US), The Dow Chemical Company (US), Bostik (France), and LORD Corporation (US), among others. 11.6 Illinois Tool Works Inc.
11.13 Scott Bader Company Ltd.